Sipping Streams Tea Company founder, Jenny Tse, was born in Hong Kong, but raised in Fairbanks, Alaska. She spent her summers selling her mother's vegetables at the local farmer's market and was very active in the local community. Her vision for Sipping Streams began the summer of 2004 where she began to notice how tea brought different people together. Traveling to different tea farms in China encouraged her to teach about tea in her local community. Tse is a certified tea specialist with the Specialty Tea Institute. 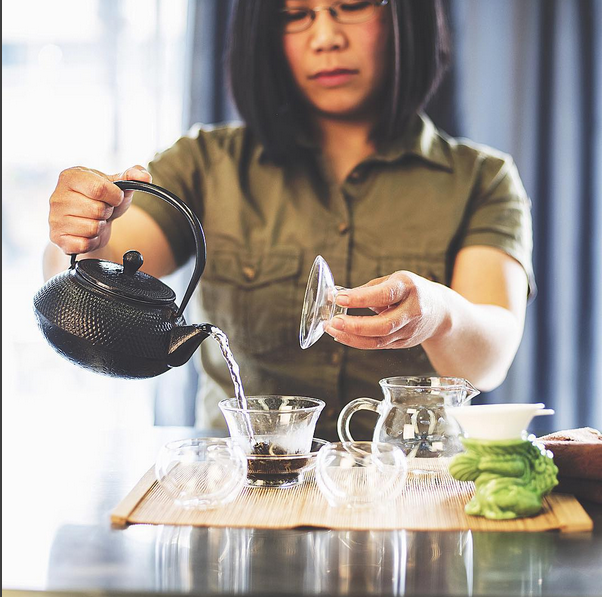 Her hand blends and teas have won 1st, 2nd, and 3rd at the North American Tea Championships. Sipping Streams Tea Company was featured in the Tea Almanac of Fresh Cup Magazine 2009, has spoken at the World Tea Expo, and won 1st place for the Top Tea Infusionist Competition at the World Tea Expo 2011. "We believe in the best quality of life for our mind, body, and soul. And encourage a community of diverse culture and age where people can come together and grow to know who they are."